Today is my wonderful hubby's birthday! Outside of attending worship, of course, having lunch out and a couple of other things we are spending the evening relaxing at home, per his request. Like many families, the birthday person gets to select the dessert and Wonderful most always chooses chocolate pie. Now this recipe is my most requested, pinned, shared post ever! So if you are interested and would like the recipe, you can click here. 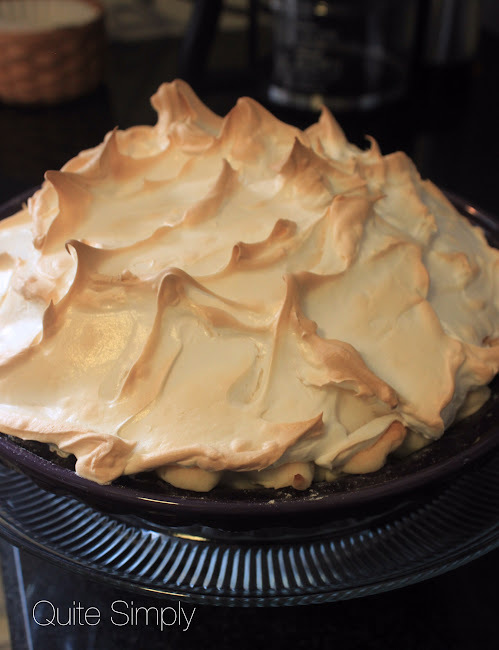 One of the other things concerning pie that I am always asked is about meringue. Meringue can be hard to get right, I have had terrible meringues a couple of times here lately. 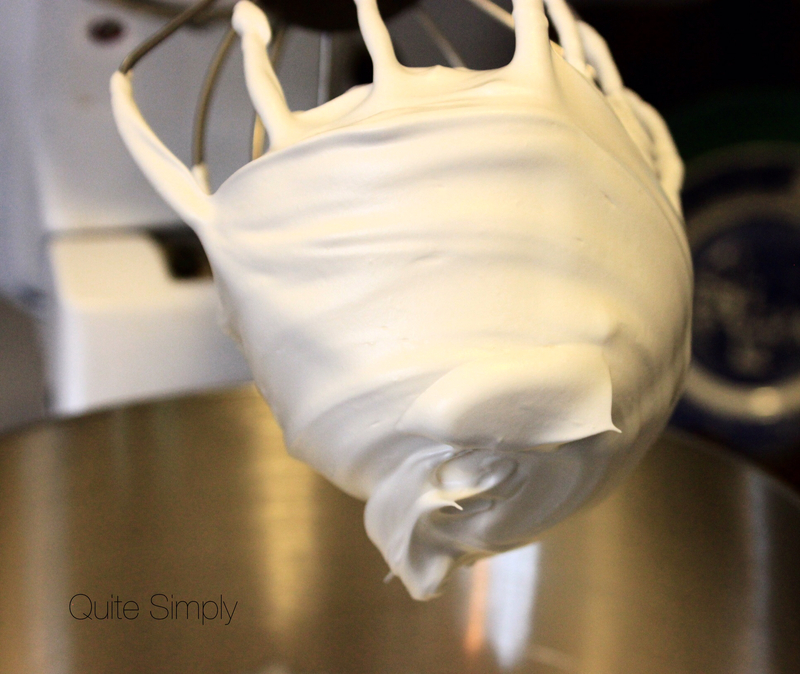 I was actually going to post about meringue a few months back, trying to photograph making meringue is not recommended! Now I am no expert but it isn't so difficult, it just takes your attention, hence not worrying about taking pictures more than giving attention to what you are doing. So this time I just snapped a couple of quick pictures during the process and kept my eye on the meringue. Here is the recipe I use, it is from the red plaid Better Homes and Gardens Cook Book. With a mixer beat the whites, vanilla and cream of tartar on medium speed for about 1 minute until soft peaks form. 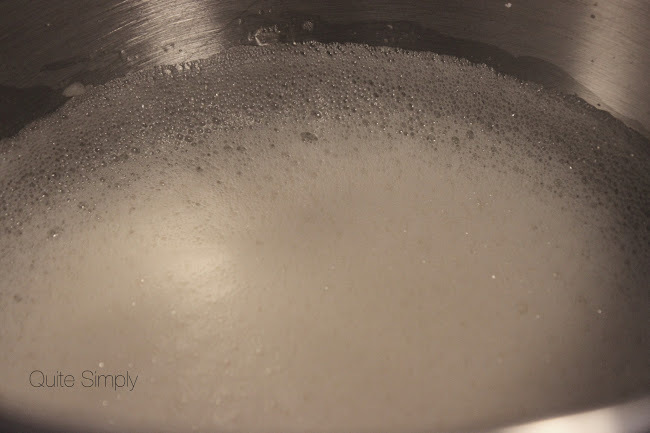 Gradually add the sugar, about a tablespoon at a time, beating at high speed about 4 minutes or more till mixture forms stiff, glossy peaks and sugar dis dissolved. Spread meringue over pie, carfully sealing to the edge of pastry to prevent shrinkage. Bake as directed in pie recipe or bake at 350 degrees for 12-15 minutes. I use my timer and follow the directions as stated. After the first timed minute it basically looks like foam. After the last timed four minutes it should look like marshmallow cream. I sometimes have to beat it a litte longer to get this. My mom always said it was better to beat a little longer than not. I put it on top of the pie with a butter knife, you can get the nice tips with that. I mentioned before that we were able to go to Greece this spring. It was a such a great trip for so many reasons, but my favorite memory that I will treasure forever is the excitement that Mr. 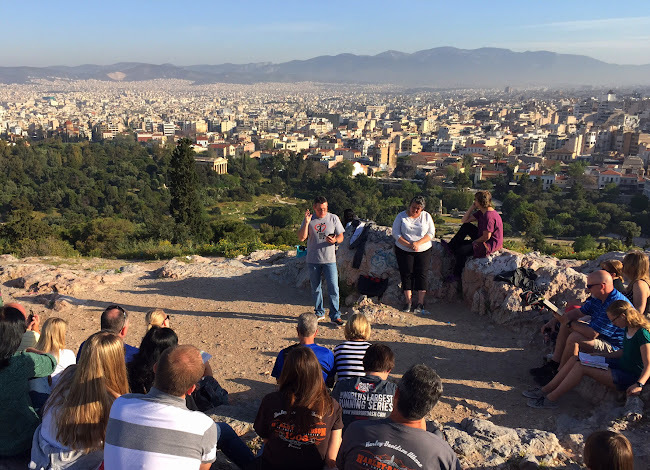 Wonderful had when he climbed up on Mars Hill and then preached there the following morning to our little group. Think taking a 5 year old to Disney, it was that kind of pure joy and excitement. 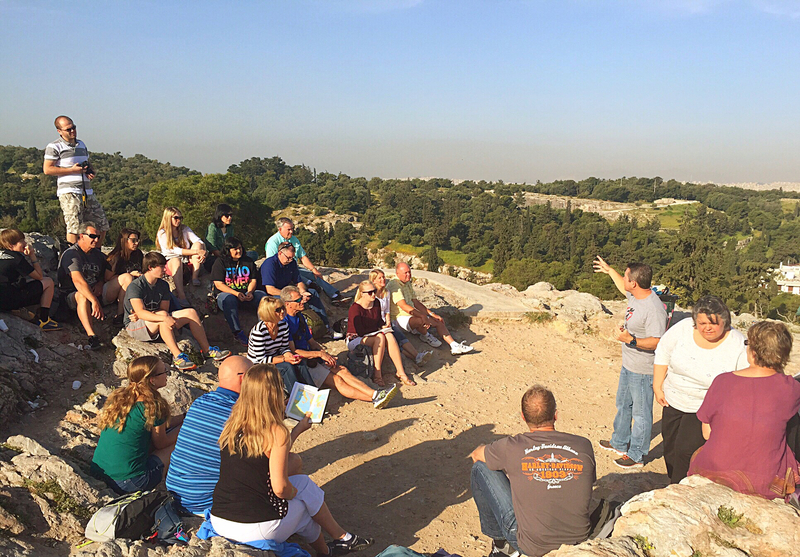 (Mars Hill is where Paul preached in Acts 17.) So on his birthday I wanted to share a picture of that moment that warms my heart. Tell Barry Happy Birthday from us! It was so fun seeing his excitement at Mars Hill and amazing hearing him preach and worship together. A forever wonderful memory! Thanks Debbie! It was great to experience it with you! Happy Birthday to your husband. Meringue is my favorite. Yours looks fabulous. Thanks Sara and thanks for stopping by! Hope your husband had a good birthday! Meringue can be difficult sometimes, I have been there. Thanks for sharing this recipe, I think I'm going to try it. Hi Mary, thanks for the visit and yes he enjoyed his chocolate pie! Caroline, thanks for dropping in and yes he enjoyed his special day! Andi, as a kid I hated it. Always picked it off, now I love it! Thanks Chari for the visit. He and my daughter are chocolate lovers! Wow! what an awesome time! the meringue looks amazing! It was a wonderful trip, we were there to work with missionaries and this was just a side trip, but a treasured memory! Thanks for dropping in. Happy Birthday for your hubby!! What a wonderful experience both the trip and the opportunity to serve a message to your group! Thank you for stopping by to share your lovely blog on Oh My Heartsie Girls WW this week. Thank you Karren for stopping by, I just discovered your party a few weeks ago and hope to become a regular! Happy Birthday to your husband. What a wonderful treat. I remember my Mom making lemon meringue for my Dad for his birthday "cake." Lemon meringue is a favorite of mine, but it is chocolate for my guy! Thanks so much for dropping in and we did enjoy our day together! I baked a birthday cake myself yesterday. I made a yellow and fudge marble cake. It was so delicious. I haven't made meringue very often, if ever. I need to give this a try! Oh that sounds yummy! I personally prefer just a little chocolate so this would be perfect for me. Have a great day and thanks for stopping by! OH, I make a chocolate pie we all love but I do whipped cream topping. I'll have to give that meringue a try. Hope your husband treasured your memory gift and had a happy birthday! Hi Leslie, it was a special day! And yes he enjoyed his pie. Thanks for visiting. Happy birthday to your hubby! I love lemon meringue but I'm not brave enough to attempt making meringue just yet. I am a lemon meringue girl myself, just go for the meringue. If you "mess" up it still tastes the same, trust me! Love meringue cookies! Thanks for visiting at Quite Simply. your meringue looks wonderful. I will be trying this. Always in a quandary over whether whites should be room temp or cold? I always use room temperature, when I use yolks for pie, I set the whites aside in a bowl on the counter. Thanks for visiting. Wow, your meringue was a huge success. I have varying degrees of success with each pie. Thanks for joining this week! Thank you Shellie for stopping by! Have a great week! I'll be giving your meringue recipe a try...looks yummy! Thank you Cindy for dropping by and for the feature!